You are here: Home / Occlusion/TMD / Occlusion? Why? I’ll admit that for a portion of my professional career I didn’t think twice about occlusion. 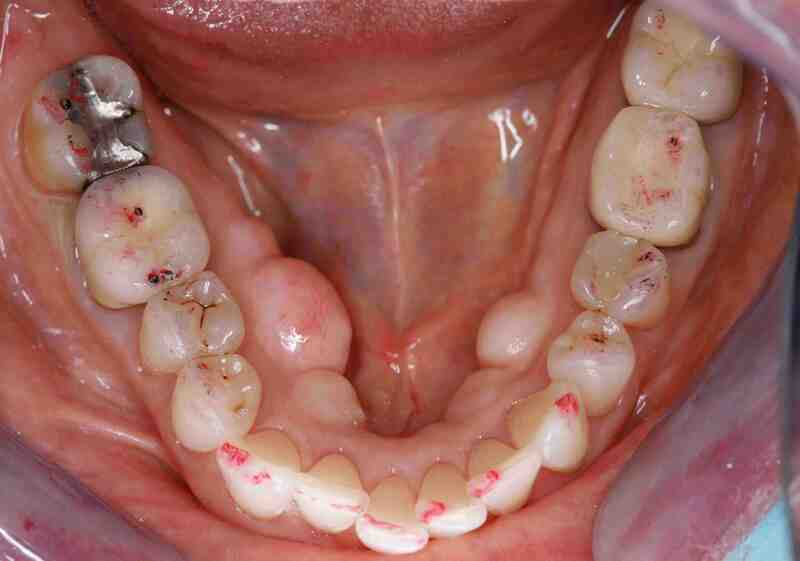 Today occlusion is as well integrated into my thought process as caries, perio or restorative considerations. What role does occlusion play in your practice? Is it part of your routine diagnostics? Is it fully integrated with your esthetic and restorative treatment planning? Or do you only wonder about it when a patient breaks something or you are concerned about moving forward with a severe wear case? Early in my career occlusion would show up as a frustration. One example is when I would prepare a second molar being very careful about creating adequate occlusal clearance, using both depth cutting burs and checking the result with bite registration, just to have my assistant come and tell me she didn’t have enough clearance to make the provisional. It was a relief years later in my first CE course with a focus on occlusion to learn this was not rapid super-eruption, or a mistake on my part, but muscle release due to removal of a key occlusal contact and I could predict this before i prepped the tooth. How about the patient who would come into my office for a hygiene visit or a buccal pit restoration with no joint sounds and call the next day concerned that their jaw had been clicking ever since they left the office the day before. What a relief when I learned these patients had an underlying risk for disc displacement called ligament laxity and I could diagnose it quickly at an exam appointment. An everyday occlusal issue I run into is the patient with a limited opening who needs posterior dentistry, or they can open at the beginning but rapidly fatigue and their jaw begins to shake and close as we work. What a gift today that I can identify this as a symptom of overuse of the elevator muscles, treat it easily and quickly at a restorative appointment with a deprogrammer, and offer the patient options for relaxing their muscles and allowing them to stay healthy. The process of demystifying occlusion and having it become an everyday reality for me required committing to a series of hands on CE programs, being willing to manage my learning and taking it back to my patients and begin using what I was learning in small steady steps. The benefit has been less frustration, increased confidence with my patients, and an ability to help patients in new and profound ways I didn’t have before. My passion for occlusion didn’t stop with my practice, but has become a huge piece of the continuing education I teach with The Pankey Institute. Lee — It’s interesting that I just spoke to a group in California and realized that one of the issues young dentists have is how to incorporate occlusion into their practices. That is the reason I wrote The Art of the Examination. I had the same issues years ago when I started at the Institute…so I created a system—well, actually first I created a habit—then a system. The examination system which includes the occlusal examination on every patient eventually became a key in creating the culture of my practice. The rest is history. Sometimes when I speak to dentists I get discouraged because they focus on the principles of occlusion rather than on how to implement it into their practices. I think many educators miss this point. Hey Lee Ann and Barry, we have been really working with our TekScan a lot more lately and I am really enjoying it. It seems like big case dentistry is just so simplified with it. I went and heard Dr. Robert Kerstein a couple of months ago where he talked about Disclusion Time Reduction- have you heard that lecture? Really some fascinating stuff, and it seems to be helpful no matter what your “occlusal religion” is. Doesn’t it seem to you though that interest in occlusion and occlusal problems has tapered off, compared to twenty or thirty years ago? I have heard Bob, and the science on Disclusion Time, and yes it is very interesting. Not sure about the drop off in interest. I have been lecturing on occlusion for over a decade and I think my attendance is the same or perhaps increased slightly over the last decade. I wish there was a broader interest in occlusion across the entire profession, but that’s because it is one of my passions! Very fascinating discussion. I personally choose to make all provisional restorations myself. I have never had an assistant that was able to do this. When preparing a second molar it is sometimes surprising to find that the clearance is less than the measured reduction. Some call it a WTF moment. 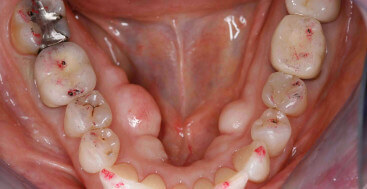 Is it wise to alter the patient’s occlusion by basically reducing the occlusal contact on the second molar? Scratching my head about these cases. It seems odd to me that we should reduce the occlusal contact of a second molar to enable restorative clearance. In most cases I think I simply did not reduce the occlusal surface enough. Weird stuff does happen. Some patients do not adjust to the the changes. Gold is the best material for second molar teeth always.